Voice Over IP has never been so simple! Voice over Internet Protocol (VoIP) is a general term for the transmission of voice interchanges over the Internet. Noel Network & PC Services Inc. can help you slice through the mess and figure out whether VoIP bodes well for you. Assuming this is the case, we can help you select and execute a facilitated or reason based arrangement that fits your business needs and spending plan. By utilizing the Internet rather than customary telephone organizations, VoIP calls frequently offer a noteworthy expense reserve funds over ordinary long distance and global rates, and permit a large group of topnotch solutions, which aren’t accessible on simple lines. These elements incorporate administrations, for example, voice message to email (where phone messages are messaged to you as a wav or mp3 document), permitting you to get to them from a cell phone or outside PC, brought together informing, where you can have your telephone to ring another number, (for example, a wireless) on the off chance that you don’t answer your work area telephone. VoIP telephone frameworks additionally incorporate several other solutions and consider any kind of call routing you may require. 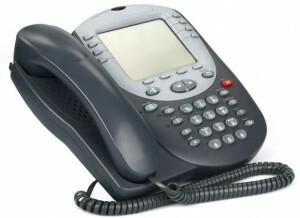 VoIP is the cutting edge technique for your old telephone framework or PBX. Best-in-class, enriched with features, and extremely simple VoIP phone administration costs a lot less than what you might imagine! Take a few minutes and fill out the get in touch form provided on the right. Once you’ve submitted the form to us, one of our VoIP experts will get in touch with you as soon as possible!